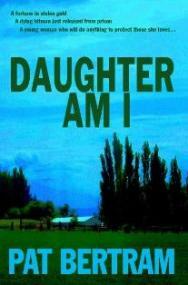 Daughter Am I is going to be published in just a few days, and Amazon is in the process of getting it up on their site. There’s no cover image yet, no blurb, no “look inside”. Nor does the book show up on my Amazon author page. Imagine my surprise then, when I checked the Daughter Am I page and found two editorial reviews. What???? Two years ago I entered the first Amazon Breakthrough Novel Award competition and ended up as a semi-finalist. The “prizes” for having reached the new level were reviews by Publisher’s Weekly and two top Amazon reviewers. I only received one Amazon review, and it said simply: Mary didn’t know she had Grandparents till the lawyer called to tell her that she’d inherited everything from them. Turns out, the pair were murdered together. Her father won’t talk about his parents and the more she digs, the more she wants to find out what happened to her mysterious family. That “review” is simply a rewording of the description I wrote for my submission, and to be honest, mine was better! 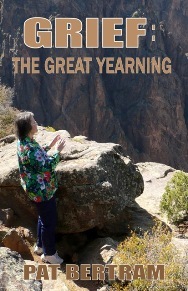 The PW review said: A group of spunky octogenarians joins a woman on a search to discover the truth about the grandparents she never knew she had. After inheriting the farm of her estranged, murdered grandparents, Mary Louise Stuart discovers photos and an address book in the Colorado farmhouse and becomes obsessed with finding out who her grandparents were and who would want them dead. With each question, another senior citizen joins the quest – former friends and gangsters with names like Crunchy, Iron Sam, Happy, Lila Lorraine. The mystery deepens with each stop in their whirlwind tour of the Midwest: who’s following them? A love interest ensues between Mary and Tim Olsen, whose grandpa was good friends with her great-grandfather. While the author certainly researched the history of the Mafia, too many of the numerous historical asides – and subplots – are tacked on under the guise of story time, making the story drag with detail abut Wyatt Earp, the JFK assassination and bootleggers. But underneath the relentless bouts of story time is a delightful treasure-hunting tale of finding one’s self in a most unlikely way. 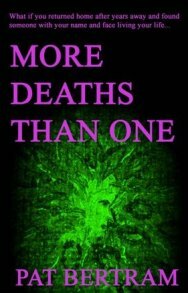 It’s not a bad review, all things considered, but the book that is now being published by Second Wind Publishing, LLC has been rewritten, edited, tightened up, and is much better than the version I entered in the contest. That’s not the point, though. The point is that the reviews have been lurking in cyberspace all this time, and now they have found me again. Makes me what other of my youthful peccadilloes (writely speaking) will come back to haunt me. I hear ya! I’ve a couple rapid-fire (read: so not ready for prime time) poems out there that were originally part of an artists’ cooperative project. The project came to an end but the pieces seem to live forever. Ouch. I’ve discovered that even when you delete something from a website, such as my contest entry, the information still lurks in the cyber shadows. This could make for a good thriller. The dread cyberpast haunting and tormenting, dark secrets lurking in the black void of cyberspace, evil forces waiting to spring on unsuspecting targets … dun dun dunnnnn. Great concept! Either the evil forces can be using the secrets or the secrets create the evil force. Hmmm. Something to think about. Now seems a good time to ask them for their mothers’ email addies. Nothing smartens a reviewer up faster than the threat of squealing on him/her to his/her mother. There’s a story here, Pat. I wonder how long b4 it’s in print. Hmm. It would be fun if a bunch of people wrote the story using the same premise. I bet every single one would be different. Hmmm. Maybe a contest! It’s nice to have the reviews even if they’re slightly out of date. Doesn’t Second Wind have access to the editorial reviews pages? If so, they could insert a comment that the reviews were written about an earlier version of the novel. That’s not a bad idea. On the other hand, the mention of bootleggers, the Kennedy assassination, and Wyatt Earp do intrigue people, so it might be better to leave well enough alone. Besides, it makes an interesting story — the review that follows one everywhere! Pat, all of our onine activities leave bread crumbs for cyber-sleuths and some of it we’d just as soon leave behind forever. I agree with the comment above suggesting you note (somewhere) that the ABNA reviews were about an earlier version of your book. Maybe instead of having my publisher make a note, I will find a place on my Amazon page where I can mention it myself. At least it’s not a bad review, and the one from the top Amazon reviewer shows him or her in a bad light, not me. I’ve seen notes on Amazon reviews that indicated the review was for a now out-of-print version of the book. Maybe there’s a way to notate something similar for your story. But your experience reminds us to keep alert to what we put out–and what is put out about us–on line. The experience also serves as a reminder for those who entered the ABNA contests and received a scathing review, to change the title when they start submitting their book to agents and editors. 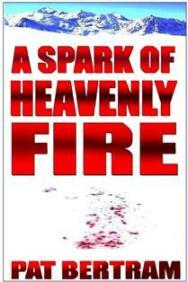 “making the story drag with detail abut Wyatt Earp, the JFK assassination and bootleggers. This the sort of encyclopedic tangent that an objective editor would say to cut. PW review is a good thing though. The amateur reader reviews, if bad, can be removed by Amazon editors. Write them and request that. Of course they would have to be real hit jobs not legitimate criticism. « Help! I Need Topics for My Blog Tour! !